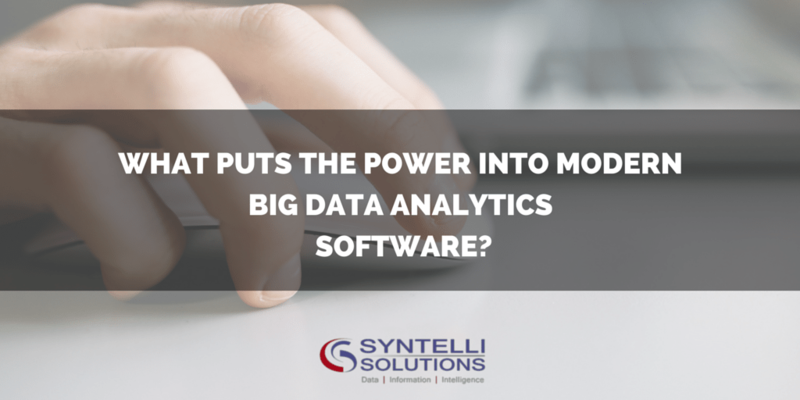 What Puts the Power into Modern Big Data Analytics Software? Lately, I’ve been thinking about a 1960s gasoline commercial, which claimed to “put a tiger in your tank.” That reminded me of the capabilities of Big Data analytics software. (No, I don’t know why.) It’s just that Big Data analytics is becoming a familiar part of data analysis. And I’m thinking about why that makes it powerful and useful. In an earlier post, we discussed how an ocean of data is a challenger and enabler of pharmaceutical and life sciences research. 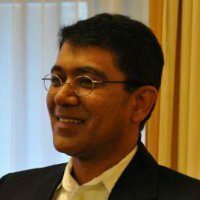 This time, we’re looking at Big Data analytics solution design and how it helps extract value from largely unused information. We’re constantly on the lookout for software that can help you get the most out of your stored information. In a review of current data analytics software used in the life sciences, one combination of programs stands out: Hortonworks Hadoop and the R-language. Why? Hadoop is becoming the de facto standard for storing, compiling and manipulating very large volumes of data. R is gaining a similar role in statistical analytics. When you use Hadoop for raw processing power and R for statistical analysis, you can create affordable, highly scalable platforms. Although this architecture has problems—poor visualization in Hadoop and limited scalability in R—they can be solved easily. Use TIBCO™ Spotfire® on top of Hadoop. In Spotfire, R is built in as TIBCO Enterprise Runtime for R (TERR). It scales to run on every Hadoop node. And, Spotfire can directly visualize results coming out of R, without users having to manipulate data or click a button. Recent developments in pharmaceutical and biomedical research show the value of newly developed Big Data analytics methods. Scientists and researchers have tapped into the power of Big Data-driven technologies to get new drugs, treatments and medical devices to market as quickly as possible without sacrificing safety or other regulatory requirements. Efficient large-volume data storage and management. This is what is needed to make limited-access mega-repositories of proprietary data available and reliable. High-speed data processing. Scientists can now shrink lengthy clinical trials by searching through 100 times as many data clinical data points to shortlist adverse effects of particular agents on patients. Text analytics, which help researchers discover hidden interrelationships between diverse data sets and exploit metadata definitions for ensuring compliance with applicable data governance rules. Data visualization, which enables data scientists to convert data analytics into comprehensible stories for the benefit of non-statisticians. Near real-time analytics to remain informed about the latest research trends in clinical trials related to particular drugs. This method enables the researchers to suitably adopt the new insights gathered from their analysis into their current clinical trials. Trend and pattern analysis to view the impact of applicable federal and regional regulations including patent laws on the target drug market, to determine the cost impact of such laws and regulations on the life of drugs. Predictive analytics to determine the likelihood of market success of particular drugs. Combining Hadoop and Spotfire capabilities provides a complete toolkit that drastically reduces the time and cost of pharmaceutical and biomedical research.